Science fiction and 3D printing have always gone together, especially when the conception of creating a 3D object literally out of thin air could only be imagined a couple of decades ago. 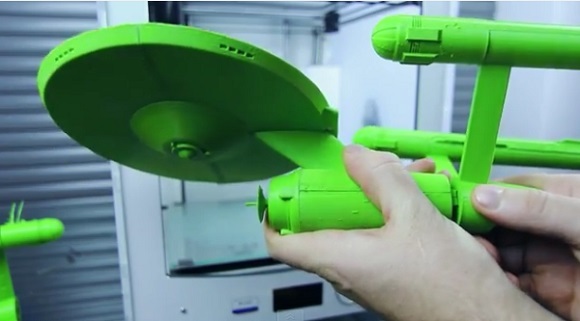 Today, when 3D printing has become more accessible and provides more opportunities, it is natural to try to recreate well-known objects from our favorite TV shows and films to show where 3D printing got its roots. 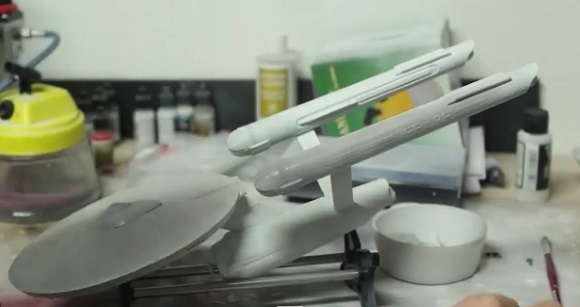 In this respect Star Trek and 3D print enthusiast has tried to do what no one else has ever tried – developing a realistic large-sized 3D sample of the notorious Starship Enterprise with an Ultimaker-2 3D printer and the airbrush equipment. On YouTube a person under the nickname Alkany published a video on his 3D printing channel called Printing the Revolution. 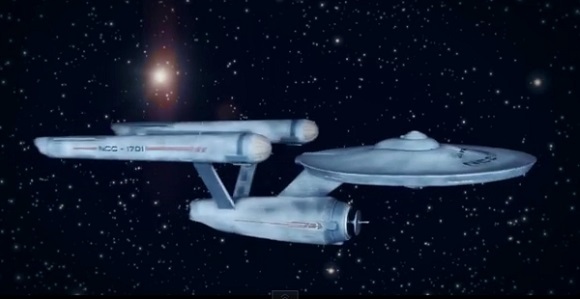 This six-minute video presents a warp speed proof of the airbrushing and printing process. 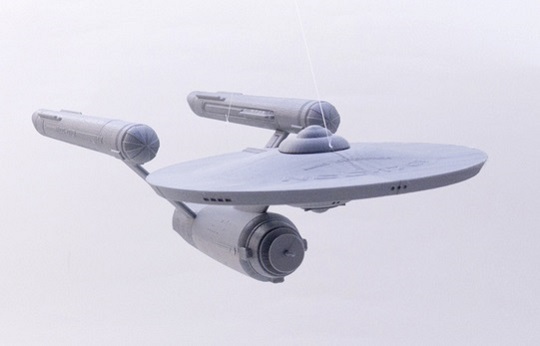 The scientist used a modular snap-fit CAD replica of the Enterprise 1701 that he saw on Thingiverse, which is a well-known online design source for 3D designing and printing. 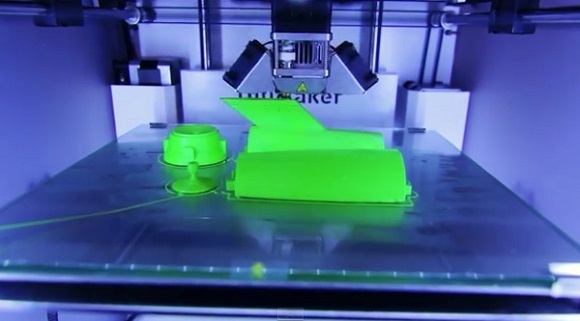 In his Ultimaker-2 3D printer he used the Cura software and added green filament to make his construction more lively. The speed was about 40-50 and the layer’s height was established at 0.15. When it was airbrushed, they used all the three layers – the white one as a base, then light grey and dark grey – to finish it more naturally. When it was ready, the product was stringed and hanged in front of the green background so that it looked as if it were really flying. Captain Kirk would be proud of it.